Starting May 6th, Kansas City police will set up roadblocks and checkpoints to check drivers for valid driver's licenses. KCMO police claim that Kansas City drivers who drive without a valid driver's license are 4 times more likely to be involved in or cause a fatal car crash. This statistic most likely stemmed from a recent incident that claimed the life of a 12 year old boy in a fatal car wreck on 71 highway (the ghetto highway) and Gregory that involved Clayton R. Dunlap and Damian Slayton. Clayton R. Dunlap was apparantly driving under the influence of PCP as he was speeding westbound on Gregory when he attempted to run a stoplight and struck a line of 5 cars waiting at the light. The first car that Dunlap struck was a silver volkswagon that held passengers Damian Slayton and his mother Bri Kneisley. Damian Slayton was fatally injured and pronounced dead at the scene while his mother Bri was rushed to the hospital in critical condition after suffering severe brain damage. Damian Slayton was said to have been a model student with a bright future who loved to read and make people laugh. He was a student at Nowlin Middle School. Clayton Dunlap is being charged with 2nd Degree Murder and 1 count of felony driving according to the State of Missouri Courts. The City of Kansas City is most likely reacting to this incident by putting up the roadblocks / checkpoints to check for valid driver's licenses. Clayton Dunlap had a record of 16 violations involving driving while suspended or revoked and Kansas City Police say that he was a high risk driver. KCMO police will be setting up roadblocks and checkpoints starting May 6th to check for drivers such as Clayton Dunlap driving while suspended or revoked. Or, as we are hoping, they will find several illegal Mexican yard workers during the search and get them off the road as well. Definitely start the search in Olathe, as they have the highest percentage of Mexican yard workers driving around clogging up 119th street and 135th street, respectively. Drivers without valid driver's licenses beware! If checkpoints are going to be spread throughout KC, how can one find out in advance when and where they are going to located so we don't have to endure the wait that is associated with them. That is correct, they naturally will not be announcing where the checkpoints will be (as far as we know) - I'm guessing that it will be in the poor neighborhoods. Probably along 71 highway where that terrible wreck happened (see above story). 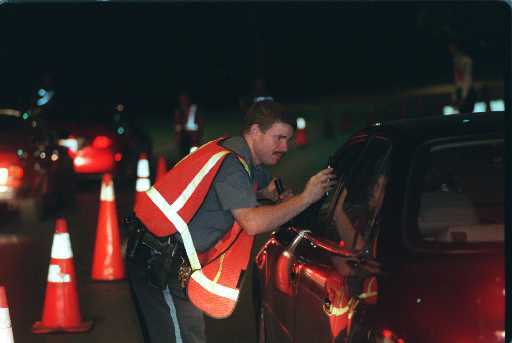 Southwest Trafficway and Ward Parkway are always popular checkpoint targets as well.